Do You Qualify to Win $2,000 For Your Business? Post to Win $2,000 for Your Business! The Chamber's Small Business Saturday Grant program is live! Right now about 115 small business members are hashtagging it out for a chance at $6,000 in grant funds. You can help. Share about your interactions with our small business members! Set your post to public, use the contest hashtag #GVCCgrant2018 and that becomes an entry to win. 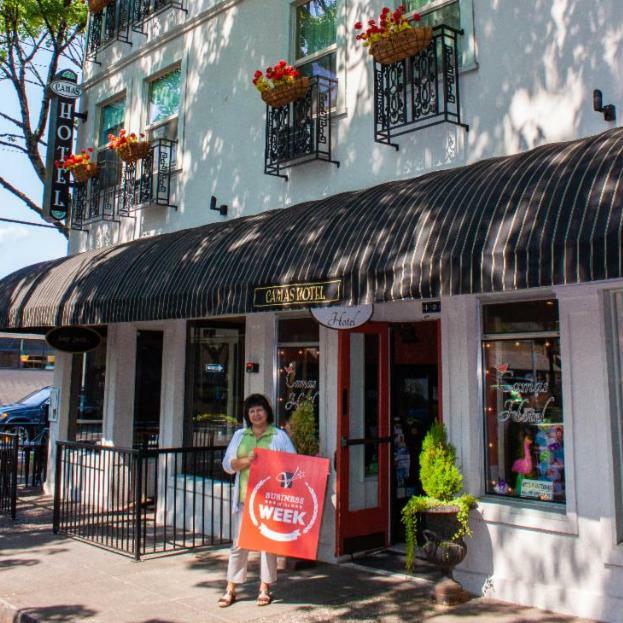 The contest wraps on Small Business Saturday, which is November 24th this year. Do you have 15 full time employees or fewer? Then YOU qualify to enter our Small Business Saturday Grant Program sponsored by Columbia Credit Union ! This program is open to all industries, organizations, and non-profits! Join us at Beaches on November 7th for breakfast, refreshments, and plenty of speed-networking! 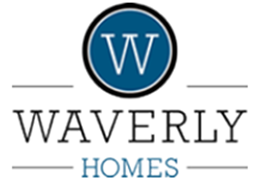 Our sponsor, Waverly Homes, will introduce their business then we will break into speed networking rounds. Don't forget to bring plenty of business cards! Pre-registration is appreciated when possible, as we begin promptly at 7:30 a.m. Remember: If you bring a one time, non-member guest, you will BOTH get in free! 9:30 - 11:30 a.m. Click here for more info and to RSVP! Please bring a laptop as we will be updating your information during this session. Speaking of updating your organization's information , join us at the next Website Work Session on November 7th at 10:00 a.m. as we show you how to access and update your organization's information. We'll cover topics like Web Directory, ensuring you are receiving the right updates, who our best point of contact is, and more. Don't miss out, because attendees will receive a FREE Search Results Icon to add to their Web Directory ($25 value). RSVP online . 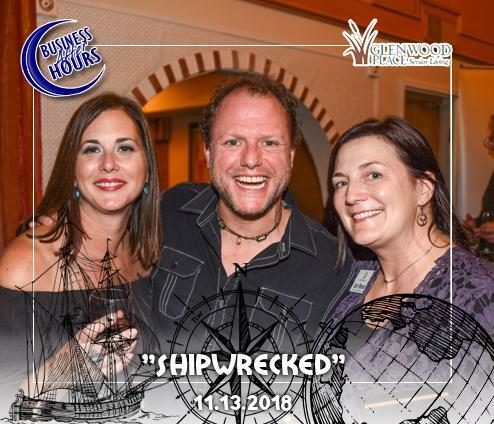 By now, you probably have the second Tuesday of each month earmarked to attend Business After Hours , because they are simply FUN! If not, make sure you get November 13th on your calendar to attend a " Shipwrecked " themed event from 5-7 pm at Glenwood Place . This event is a great networking opportunity where you will enjoy food, beverages, and tours of the host's facility. See you there! 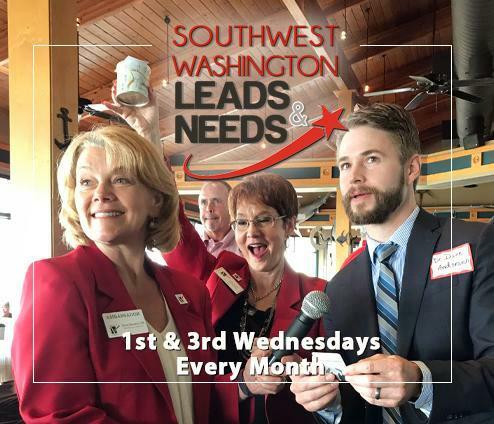 As we partner up with the Battle Ground Chamber of Commerce for some North County events , we encourage you to attend our SW WA Leads & Needs: North County Edition . 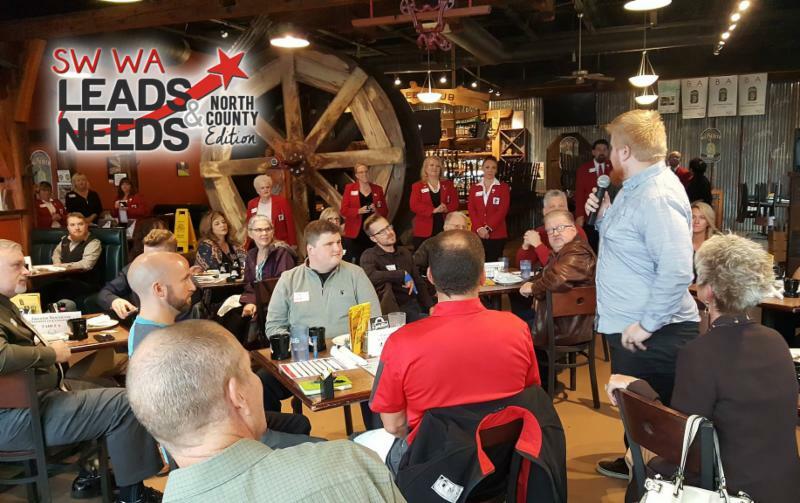 Meet us every second Wednesday morning of the month at Mill Creek Pub for breakfast, refreshments, and a ton of networking. We had 50 attendees last month, so we encourage you to pre-register to beat the line! Remember to bring plenty of business cards for the amazing connections you'll make. Is your company or organization having an anniversary, expansion, or panning special event? ﻿Chamber Ambassador team for a ribbon cutting to celebrate your occasion. Too often we ask how to “survive the holidays?” Too many pressures, too many things to do, and at the end of it all we are left feeling depleted. This year we will help you set a clear intention for a holiday with all of the fun, all of the joy, and none of the guilt that plagued holidays past! And we will share a set of strategies to maintain balance and perspective so that you can fully enjoy the holidays and still have enough energy to start the New Year excited about the possibilities! Our 2019 skills-based Mentor Program is open for enrollment! If you have any interest in guiding a fellow member , assisting them reach their organization's potential, and have experience doing so, please let us know! Additionally, if you are looking to grow your skill set or your organization, and need a role model for focus and objectivity, don't hesitate to contact us. 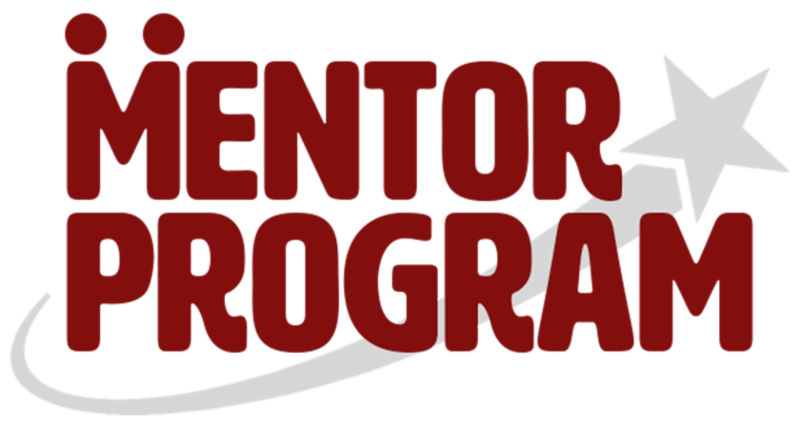 Our mentor program is provided to members at no cost, is personalized to fit your needs, and is based on your schedule. Holiday Heroes Luncheon VIP Tables: Touchmark at Fairway Village, iQ Credit Union, When the Shoe Fits, HAPO Community Credit Union, Legacy Salmon Creek, Columbia Bank, SEH America, Riverview Community Bank, Paul Montague Tax Preparation, Columbia Credit Union, Umpqua Bank, Clark County Events Center, Highgate Senior Living, Miller Nash Graham & Dunn, Biggs Insurance, and Bank of the West. These companies receive special promotion (like this) a reserved table for ten at the December 7th Holiday Heroes Luncheon, and acknowledgement in our event program and slideshow. 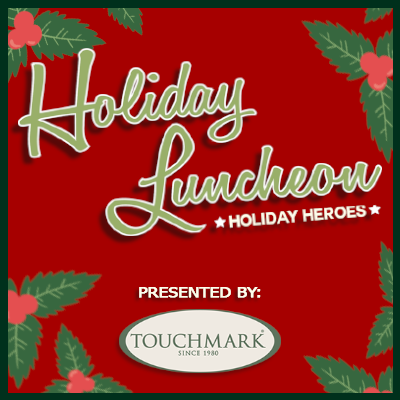 It's almost that time of year again, for our annual Holiday Heroes Luncheon celebrating our amazing Ambassador team! We welcome you to attend this delicious lunch at Warehouse '23 on December 7th , presented by Touchmark at Fairway Village. We encourage you to dress in your favorite holiday attire as we'll set aside time to take pictures with Santa, your friends, and Ambassador team! We are also accepting gift baskets to be raffled off at this event. Put one together to help us spread holiday cheer! 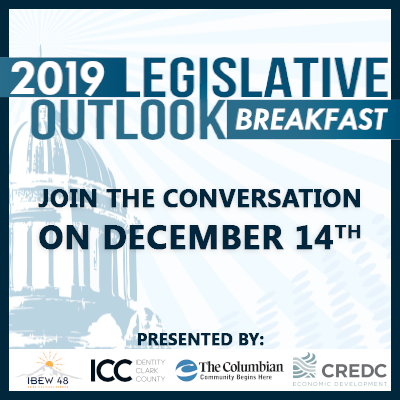 The GVCC, Identity Clark County, and the Columbia River Economic Development Council will present our Shared Business Priorities for 2019 at the 2019 Legislative Outlook Breakfast sponsored by IBEW 48. Be a part of the discussion as we forecast hot button issues on December 14th at Warehouse ’23. Help us engage our local elected officials in conversation about your priorities in the upcoming legislative session. This is a unique opportunity to meet with local legislators, learn about their top priorities, and get answers regarding the issues that matter to you the most. Your family and friends in the draining business. Boutique and historic amenities in the center of the city. 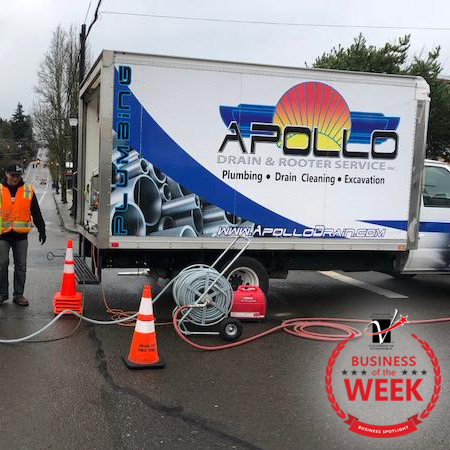 The GVCC's Business of the Week program highlights member businesses that are working to Move Business Forward in SW Washington. Contact Sarah Cooke if you would like to recommend an outstanding business for this feature. 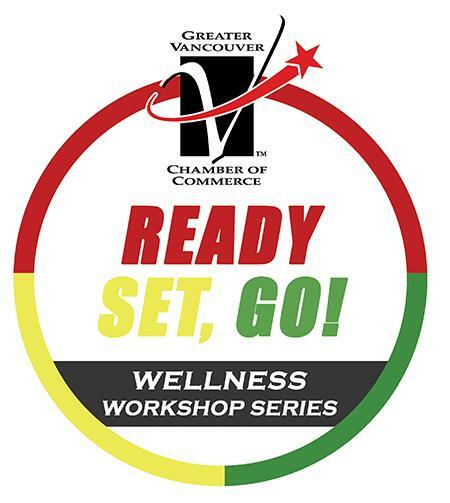 The GVCC houses community-wide programming for the Small Business Assistance Program, PTAC Government Contracting, HR Business Solutions (WorkSource), and Career Connected Learning. Often, these programs are available to non-members across three counties. The team at nConnect is your resource to give local students perspective on in-demand career pathways. View the Career Connected Learning Calendar online. November 7th - Affiliation: The Dirtiest Word in Federal Small Business Contracting; 11 a.m. Webinar. Representatives from the Internal Revenue Service and Social Security Administration will present webinars: " Racing Towards Year End: Employment Tax Updates and Reminders " on November 6th and December 4th , each at 10am. Join the Southwest Washington Contractors Association at their Holiday Party & Auction from 5-11p.m. The theme is Baby, It's Cold Outside so be sure to wear an ugly Christmas sweater to mark the occasion! Join Apollo Drain & Rooters ' staff, family and friends at their Grand Opening/Ribbon Cutting from 5-7pm. Community Home Health & Hospice invites you to Light Up Your Night celebrating and remembering loved ones and veterans. Clark College Economic & Community Development presents morning leadership training courses . Starting at 8am, High Performance Teams: Setting goals and expectations to keep yourself and others accountable will guide the day's session. Chelachie Crossing Pacific NW Smokehouse presents a Stock Your Cellar Wine Night from 5-7 p.m. More Info . If you served in any armed forces for our country, you are invited to a free Veteran's Appreciation Dinner at the Elks Vancouver Lodge from 5-7 p.m. Enjoy a delicious turkey dinner with your family at the #823 location off McGillivray. Please call 360.256.0823 to reserve your spot. Join the Perkins & Co. team to explore development in today's world of inclusionary zoning, construction taxes, escalating construction costs, and the future of development. 3:30 - 6:30 p.m. at the Bloodworks Live Studio. ilani's Michael Jordan's Steakhouse and Breakside Distillery present a 3-course Breakside Beer Dinner from 7-9:30 p.m. Tickets available here . The Business Growth MAP Alliance forum presents Grow Clark County: Reimagining the Future of Tech . More Info . The Journey Theater Arts Group presents Disney's The Lion King Jr . Join family, friends, and theater-lovers at Fort Vancouver High School. YWCA & Odyssey World Int. invite you to a "Women Supporting Women" Friendship Tea from 1-3pm. The Journey Theater Arts Group presents Scrooge . Join family, friends, and theater-lovers at Washougal High School. Vancouver Funeral Chapel is hosting a clothing drive contest benefiting the Clark County Veterans Assistance Center . Donations must be new socks, gloves, hats, and/or undergarments, dropped off at Vancouver Funeral Chapel . For all details, contact 360.693.3633. Pain Relief Partners invites you to attend their webinar all about stem cell therapy! More Info Here . Compel Media has produced a welcome video encouraging you to join their Free DIY Marketing Video Training Series. Check it out here . Need a fun, free photoshoot? 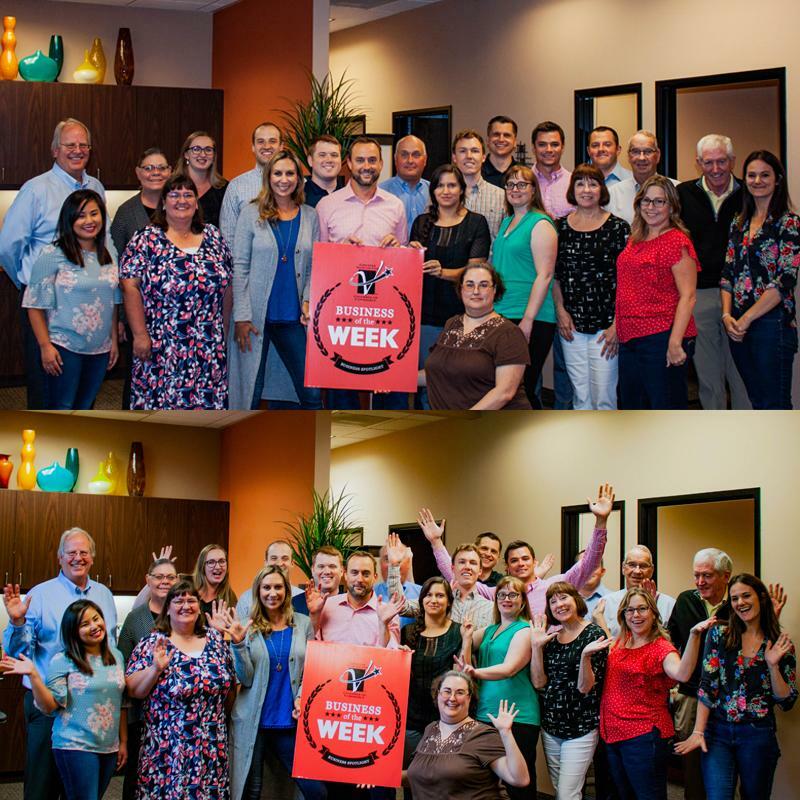 Shoutout Marketing Group will set up a green screen at your place of business, snap photos of you and your team members, send you the digital photos - All Free . Time slots are filling up quickly, so be sure to inquire ASAP . 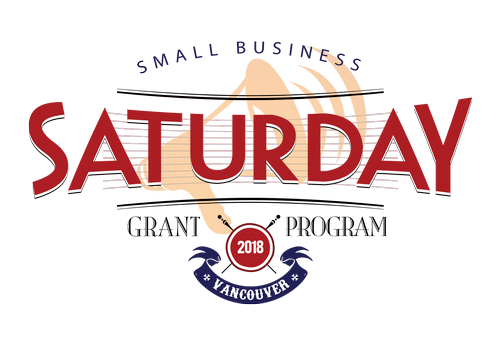 Throughout the month of October, Share Vancouver will host their annual Seats & Feets drive, inviting the community to donate new underwear, diapers, and socks, for men, women, teens, and children. On the first annual Day of the Girl Vancouver luncheon, Girls, Inc . of the PNW raised more than $20,000 from their supporters, attendees, and role models in the community. Davidson & Associates Insurance has been re-qualified as a "Best Practices Agency", where they will join an elite group of independent insurance agencies around the nation participating in the Independent Insurance Agents & Brokers of America (IIABA or the Big “I”) “Best Practices” Study Group. The Historic Trust marks their 20th Anniversary with new President/CEO Gregory Goode , beginning on December 10th. The SWCA has hired Marena Rozmaity as Executive Assistant, where she will research new projects in the region, maintaining documents on the SWCA Plan Center as well as assist staff with events, meetings and public communication. If you weren't updated already, here are the links to Pacifica Senior Living's monthly events calendar and newsletter. Applications available for 2019 homeless crisis response system and community action funds. For information on meetings, applications, and instructions . Training opportunities for mental health first aid are available through Lifeline Connections . Email for more info . Clark College Economic & Community Development is offering professional development courses. Click the link for course information . SW WA Accountable Community of Health is announcing their newest RFI's for community-serving organizations. They are looking for organizations in areas of social services, emergency response, education or workforce development, peer support for substance abuse, public health, and alternative medicine. Click here for more information . Leadership Clark County (LCC) is looking for community nonprofits or public sector organizations to engage with leaders from LCC's Class of '19. The project aims to encourage LCC graduates and community partners to collaborate on organizational challenges the community is facing. For more information . Community Home Health & Hospice is offering an eight-week, free grief support group for survivors of suicide loss at the Elaine & Don Heimbigner Hospice Care Center, 3102 NE 134th Street, Vancouver, WA. The group meets Thursdays from 4:00 pm – 6:00 pm, from September 27 – November 15, 2018. Facilitated by Mary Fleming, MSW, and Rick Sievers, Hospice Volunteer. Pacifica Senior Living is looking for CNA's and Home Care Aids to join their energetic, creative and communicative team. Some requirements of the role include: CNA or HNA, CPR/First Aid Certification, Food Handlers Card, and a background check. Part-Time and Full Time positions available! Click the link to fill out an application , or email your resume to Jordan Wilson .